Watching the Singapore national team play its football, one just sort of wonders if there is a national ban on urgency. Languor, if the Singapore team is any indication, seems to be something of a local malaise. 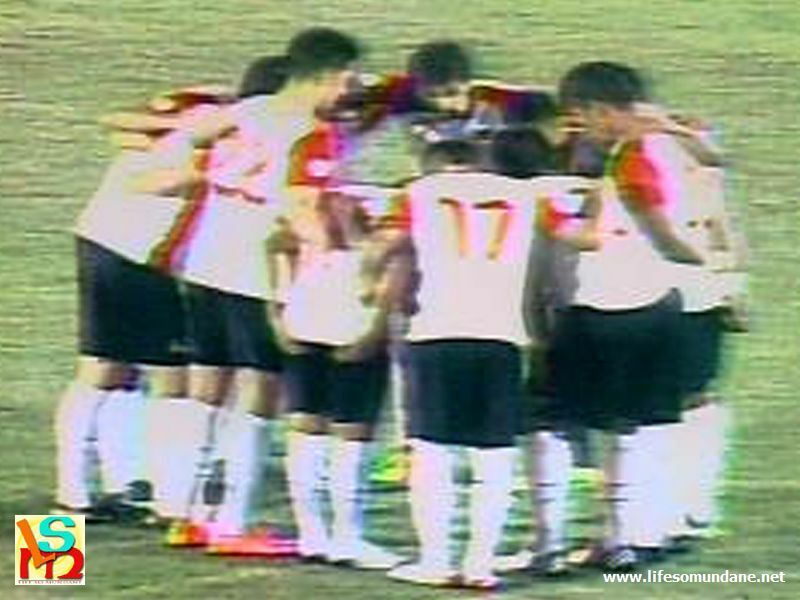 The team’s football is played primarily on the floor, simple quick passes linked daintily from player to player. That is well and good if the name of your country is Spain; and mind, the Spaniards do the same at speed and with so much more accuracy. 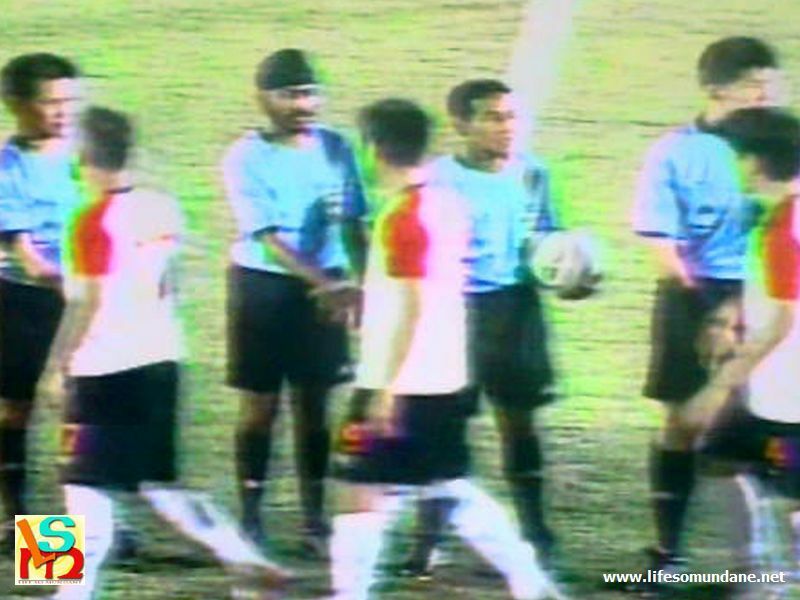 In the case of Singapore, when its players lost possession – which was often – frequently its players did not seem to have any desire to sprint back and plug the inevitable holes at the back. And so, in spite of all the pretty possession football, at the end of the first half it was the Philippines that were ahead in the international friendly played at the West Jurong Stadium in Singapore courtesy of a Chieffy Caligdong strike in the 7th minute. 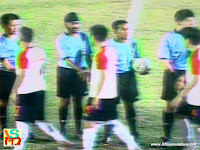 Throughout the game, the Filipinos also showed restraint and appeared to have learned to pace themselves. Who knows how the World Cup ties against Kuwait could have gone had we played with the same deliberateness and patience in the away leg in Kuwait? It was the Philippines’ first meaningful attack of the game. Phil Younghusband collected the ball on the right flank, found Stephan Schröck galloping down the middle; and Schröcky found Caligdong with acres of space down the left flank. The diminutive winger feinted to cut inside and shot with his less-cultured right foot. The shot itself would probably not have roused a lazy cat from its stupor; but a deflection helped the ball on its way past the Singapore goalkeeper. When you are lucky, you just do not complain. If you are not, you work harder. Was it just our good fortune that Singapore, to where many of our countrymen go for work, seemed to have a loathing for that four-letter word! Lucky they were not. In the 3rd minute, a breakdown in communication left Jeffrey Christiaens at leftback stranded with Singapore’s Shi Jiayi bearing down on goal. Perhaps his deodorant let him down; but by and large it was Neil Etheridge’s excellent goalkeeping that kept his shot out. That miss just about summed up Singapore’s ambition; and while Qiu Li had the ball in the back of the net in the 34th minute, the assistant’s offside call to prematurely end Singaporean celebrations was probably the right one. While Singapore understandably enjoyed the lion’s share of possession, it was the Filipinos who were creating the more dangerous chances. In the 24th minutes, Phil Younghusband was sent through on goal in a one-on-one with the goalkeeper. The latter did well to narrow the angle; but Younghusband nevertheless should have scored to compound Singapore’s misery. In the 40th minute, the Younghusband brothers combined to set up Phil for a shot. He was a yard offside; yet still could not find the net just a few yards out. One wondered if he was having one of those nights. He was not. Soon after the restart, Schröck found him with a measured diagonal pass just right of center. Younghusband was too quick and momentarily left the ball behind him; but recovered to curl a beautiful left-footed shot past the Singapore goalkeeper. It was the sort of finish that Lionel Messi would have been proud of; and Younghusband did it not only instinctively but also effortlessly. That strike seemed to be the cue for Singapore to completely lose the plot. Just like they did in Phnom Penh, the Philippines started to dominate possession and create chances as though they were the home team. 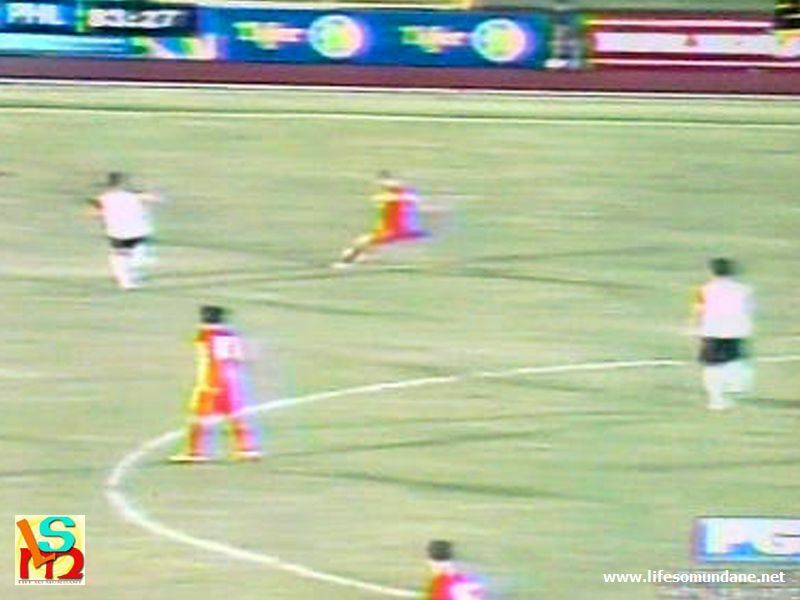 In the 56th minute, Younghusband once again found himself in a one-on-one with the goalkeeper. His final touch was a bit heavy and allowed the goalkeeper to smother the ball. Eight minutes later, it was the turn of Caligdong to hit the target. 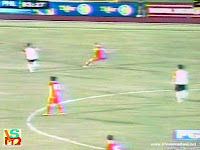 Patrick Reichelt, who had come on for James Younghusband, slipped the ball to Phil whose cross seemed to have floated above everybody. Caligdong, however, was arriving late at the far post; and his fierce volley could have put the game to bed. Singapore showed more ambition as the match drew to a close, even having a shot in the 66th minute that forced Etheridge into no more than a routine save. It was always going to be too little too late for a Singapore team that did not quite know what to do with an opponent that refused to play at its pace. Even when Singapore finally threw men forward in the endgame to add some spice to what had in all honesty been a stale performance, the Filipinos had the tactical savvy – not to mention the legs – to pack the defensive line with bodies as a proper away team was expected to do. When the referee blew to put Singapore out of its misery, it meant that the Philippines had defeated their hosts for the first time in recent years. The match was, of course, a friendly. The comprehensive manner with which the Philippines outplayed Singapore, however, finally tells us that with a full squad, we are probably now ready to take the step up another level in world football. What this game showed us is that the Philippines are starting to mature tactically. While the first half would hardly have had a connoisseur’s glands flowing, it was nonetheless a right proper ‘away’ performance. If Singapore had appeared to lack ambition, to a large extent it was also because the Philippines worked hard to block the passing lanes. But there is another World Cup after the one in Brazil, of course; and many of the current squad are young enough to be able to keep us dreaming the ultimate dream. Particularly if we find or develop more Schröcks, whose silky skills and overall performance today intimated that the future is indeed bright for Philippine football.